For married couples, there are many reasons to renew their marriage vows. Indeed, they are as varied and unique as the couples themselves. Perhaps the first ceremony was a hasty civil marriage, or maybe the marriage is becoming weary, lackluster and is needing some romance — or maybe the couple just wants to rejoice in their continuing love. In any case, renewing marriage vows is a hot trend these days, and many choose to echo the beauty of their marriage by celebrating in beautiful surroundings. That’s where Rondel Village comes in. Monty and Melissa recently renewed their marriage vows at Rondel Village and had this to say: “Rondel is our place, we’ve stayed there many, many times. So when it came time to plan our 25th wedding anniversary celebration on the beach there was no question of where it was going to be.” Their spectacular celebration, surrounded by good friends, and warmed by the Jamaican sun and the calming sound of the waves, was truly worthy of honoring this milestone in their lives. A silver or gold anniversary are certainly reasons to commemorate the commitment, perseverance and love that got you to that milestone. Nearly one third of all adults in the United States don’t even opt for marriage, and of those that do say “I do”, about 40% will end in divorce . If you make it through the first 8 years of marriage, you’ve made it over the hump and your marriage, statistically, will go the distance. That is absolutely a reason to give yourself a pat on the back and celebrate! Most marriages have their share of ups and downs if the couple has been together for any length of time. If the marriage has been mostly “up”, why not shout it to the world? Go ahead and share your happiness with friends and family, sometimes family that wasn’t even born the first time around. If, on the other hand, the marriage has suffered more “downs”, or circumstances have been difficult, re-affirming commitment to each other is a great approach. Renewal of vows can shore up a marriage, providing a clean canvas and allowing the couple to acknowledge what is really important in their lives. 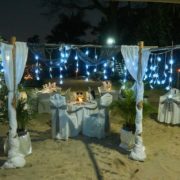 Of course, there’s no better place to renew your marriage vows than at our beautiful beach-side resort, Rondel Village. Read what one couple had to say about their vows renewal experience with us. Sometimes renewing marriage vows is more about correcting a deficiency in the past. First time marriage celebrations can end up seeming more for others than for the happy couple. The romantic, starry-eyed intentions of the couple in love need to navigate the quagmire of parental, financial or social pressures and, quite often, get at least partially sidetracked. A renewal of vows offers a chance to rectify the earlier shortcomings, whatever they were. After a number of years together, couples have grown into being a couple, are more aware of what type of celebration would suit them best, and often have more money to do it right this time around. We’ve seen people renew their marriage vows for all sorts of reasons at Rondel Village. But in any case, nobody wants it to be a hassle. Rondel Village facilitates the planning process with dedicated pages on our website outlining the steps and documents required. Even so, it is wise to start early. We fill up quickly. Ceremonies must be booked at least 60 days before the requested date. We have various wedding packages, covering different venues, reception arrangements and flowers. 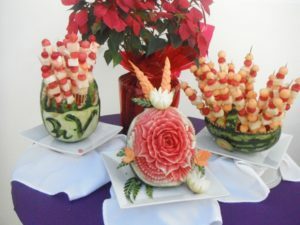 You will work with our wedding coordinator to choose the arrangements that suit you best. We started the planning process during our trip last February. We made basic plans then and then did everything else by email. We would have 4 other couples with us, including my brothers and their wives and two of my good friends and their wives. Of course, staying at Rondel Village is a pleasure in and of itself, even without a renewal of marriage vows. But for this special occasion, understandably, everything needs to be perfect. 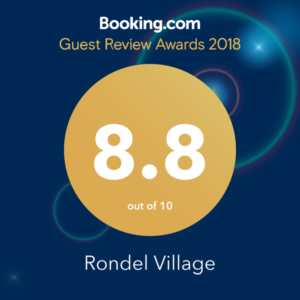 You can count on the Rondel Village staff to provide the excellent, personalized service that will make the experience memorable in a good way for a long, long time. The vow renewal ceremony on the beach could not have gone better, the staff at the hotel did a great job. It really turned out better than we could have ever hoped and for the money that we paid it was really a bargain. If you’d like more information about renewing your vows here in Jamaica with us, reach out any time. 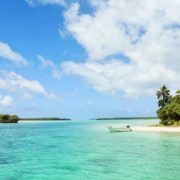 Much of the tourism industry around the world, and certainly in the Caribbean, relies on beautiful, pristine environments and clean water to attract visitors. Who, after all, wants to get away from it all and go stay in a polluted garbage dump? And yet, the hospitality industry is very energy intensive, and often polluting —think of all the food waste, the single-use plastics, the need for multiple loads of laundry and the essential swimming pools. All together, hospitality industries add more than their share to world pollution. In fact, food waste accounts for about 35% of all food purchased by a hotel. The typical tourist generates more than 1 kg of waste every day and generally uses more water than local residents, as they expect amenities such as swimming pools, lush gardens and golf courses. This can have serious consequences in developing countries and places where water availability is scarce. Additionally, coastal areas need to content with the pollution from cruise ships as well. Indeed, studies have shown cruise ships dispose of a staggering 150,000 gallons of sewage into the ocean per weak. This wasteful disregard for the environment impacts the tourist industry by damaging coral reefs, both through pollution and activities such as snorkeling or diving in these sensitive ecosystems. This is why sustainable tourism is the best way forward. Sustainable tourism is an integrated approach to sustainability that aims to decrease the tourism industry’s negative impact on the environment and local culture. A sustainable approach to tourism aims to increase the industry’s positive impact for local development and employment – all while providing an excellent experience for visitors. At Rondel, Village our Environmental Management System ensures that all our operations adhere to our strict environmental standards while maintaining visitor and staff satisfaction, excellent relations with the community, and our financial viability. Our goal is to provide a stellar experience for our customers and fulfill their desire for comfort and convenience, while reducing our negative impact on the environment. Some resorts may give sustainability lip service; we live by it. We respect our guests while also respecting our environment, employees, local culture and strive to reduce consumption and waste. As recognition of our commitment to environmental sustainability we’re proud to have won the Travel Gold Award for Sustainability in Tourism for 2016-18 among other awards. We have implemented sound environmental practices in the management of our hotel since 1998 and are strong proponents of sustainable tourism as we demonstrate through our sustainability program. It just makes sense for everybody and the environment as well — both in the short and long term. Sustainable tourism takes commitment but is really a series of choices when a lot of small and bigger actions add up. It’s something as small as making use of the backside of printed paper for note-taking. It’s choosing to install tinted UPVC windows. Bigger choices are investing in rainwater harvesting and solar water heating. It’s installing sophisticated low water consumption toilets and inverter A/C units which use 50% less electricity. The products we choose to use in our hotel are all “environmentally friendly”, in terms of content, packaging, and ease of recycling and disposal. 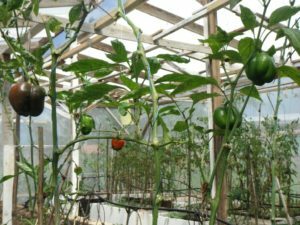 We buy local wherever possible, operating our own greenhouse to supplement the food we buy from local farmers and fishermen. It all makes a difference. A look at the bell peppers growing in our on-site greenhouse. We source locally whenever we can. We train our staff and encourage participation as part of our sustainability efforts — and this includes educating our guests as well. Our environment policy is prominently displayed and attendants explain the proper use of the air conditioning and other services and amenities to our guests. We also support local initiatives. For example, we are an active member of Negril Environmental and Protection Trust, among other environmentally-friendly associations. Through all these actions we hope to preserve the beauty of Jamaica, increase the quality of life for her people, and deliver an exceptional experience for her visitors – for generations to come. Read more about our sustainable practices. You are, of course, welcome to visit Rondel Village and experience our sustainable practices in person. 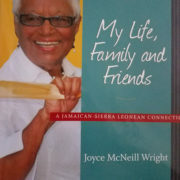 We are so proud to announce that Joyce McNeill Wright, founder of Rondel Village, has come out with her first publication. Joyce was born on April 3, 1920 in Kingston, Jamaica. 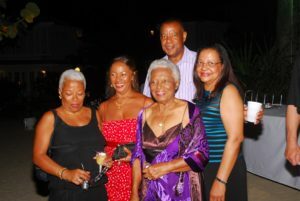 She is the fifth of six children born to Eustace and Blanche McNeill of Pear Tree Grove, St Catherine and Kingston. In 1944 she married Dr. Claude Wright of Sierra Leone. The marriage produced four daughters and a son. The Wrights travelled extensively between London, Sierra Leone and Jamaica, before finally settling in Jamaica. 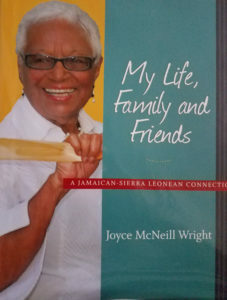 Over the years, Joyce has studied physiotherapy in London, operated a restaurant, bred rabbits extensively, cultivated anthuriums commercially, and founded Rondel Village, a 56 room hotel in Negril Beach in the parish of Westmoreland. Pictured above is Joyce with her 4 children – Celina, Frances, Carolyn, and John. 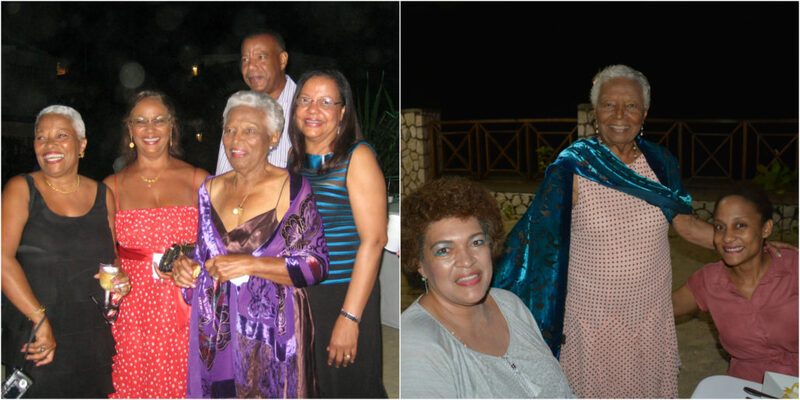 In the photo on the right she is celebrating her 97th birthday! 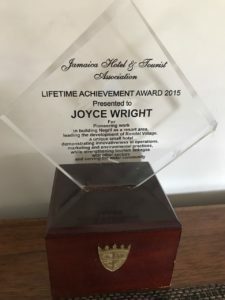 In 2015, the Jamaica Hotel & Tourist Association presented Joyce Wright with its Lifetime Achievement Award. Rondel Village celebrated its 30th Anniversary on November 14, 2015! Rondel Village has gotten a lot of recognition throughout the years. 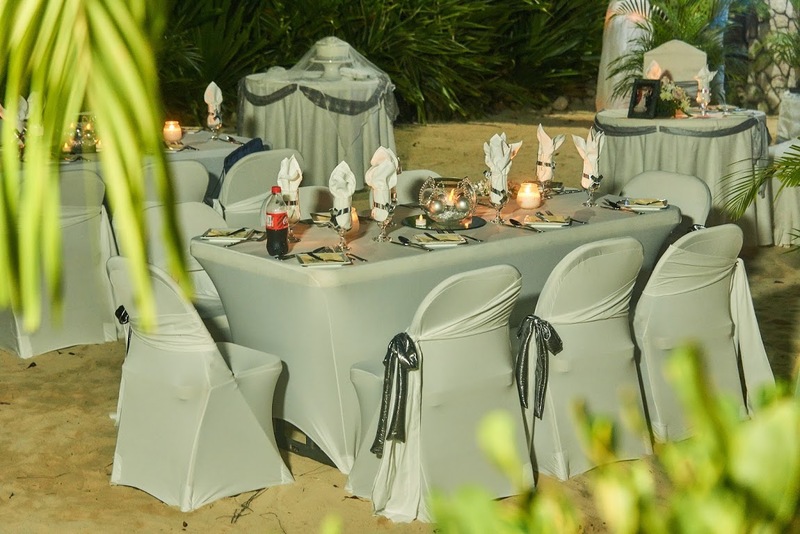 Some awards include: the Award of Excellence for the Booking.com Guest Review Awards for 2015, Hospitality Jamaica Award for Best Small/Boutique Hotel, Powering Global Travel Award for 2015 by tour operator GTA, as well as many more. We are so proud of Joyce Wright’s accomplishments and grateful for this Rondel Village family which she established. We look forward to the next 30 years and beyond! Check out Rondel Village’s current specials here. Rondel Village is excited to share a few photos one of our guests sent us of their favorite meals they enjoyed while staying with us. For more information on our restaurant click here. 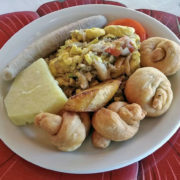 Ackee and Saltfish is Jamaica’s National Dish. Everyone loves this traditional meal. It is a must have when coming to visit Rondel Village. 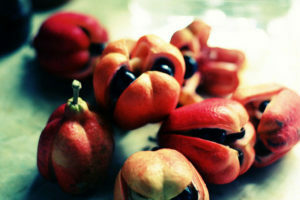 What is ackee you may ask? 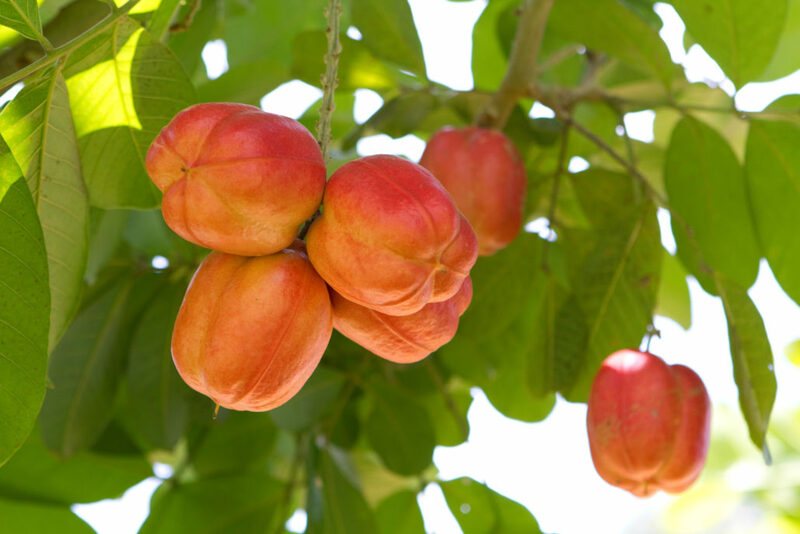 It is a fruit that grows on trees here locally in Jamaica and as it ripens turns from green to red and then splits open revealing it’s ripeness inside. 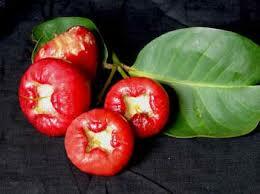 The Ackee, also called Vegetable Brain, Achee, or Akee Apple is a member of the lychee family. 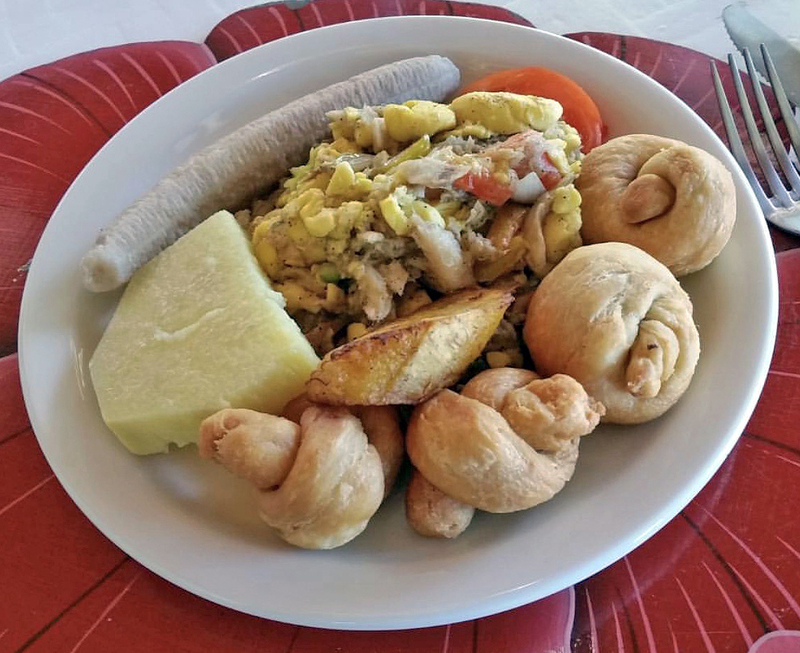 Our Ackee and Saltfish plate is served with boiled green bananas and yam along with JohnnyCakes. JohnnyCake is a staple food prepared frequently here in Jamaica. It is a cornmeal flatbread. 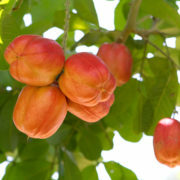 The yam and bananas are grown locally here in Jamaica. Boiled green bananas are another popular Jamaican side. 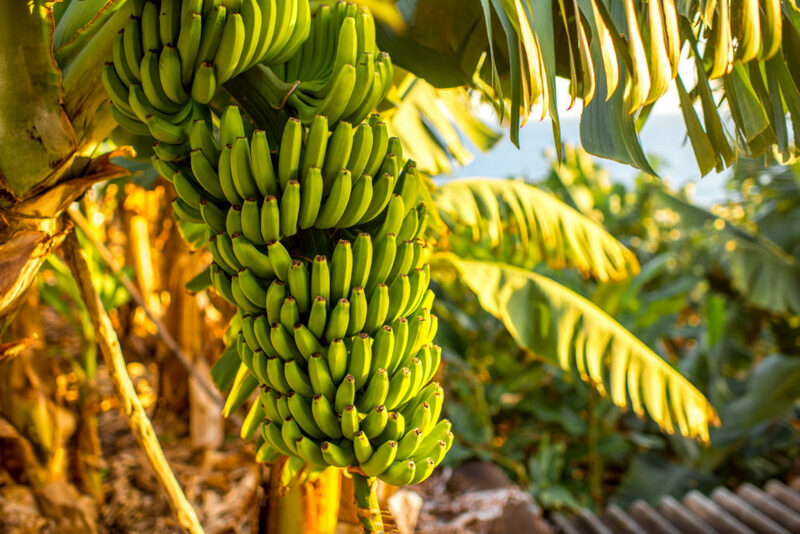 The green banana is treated more as a vegetable than a fruit, and it is most often prepared and used in dishes much as Americans use potatoes. It is served boiled as a side with your meal. This dish is great when paired with a cup of our Jamaican grown Blue Mountain Coffee which is ranked as one of the best in the world! Get our ackee and saltfish recipe and bring Jamaican cuisine home with you. Plan your visit with us today! Rondel Village wants to host you while you have summer fun in Jamaica! 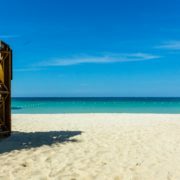 Jamaica is beautiful year around but the summer time is extra exciting with music festivals in July including: Dream Weekend and Reggae Sumfest as well as celebrating Jamaican Independence day which lands on August 6. Dream Weekend in Jamaica is rated one of the world’s best music festivals 5 years in a row. It is 5 days of music and amazing vibes on the 7 miles of white sand beaches in Negril, walking distance to Rondel Village. It is known for it’s energetic parties, music performances from local and international artistes, all types of liquor and food, and much more! Dream Weekend is definitely a one of a kind experience. Reggae Sumfest is a week long music festival in Montego Bay. Reggae Sumfest has had huge artists preform through the years including Rihanna, Kanye West, Usher, Chris Brown, Alicia Keys, Nicki Minaj, 50 Cent, Lionel Ritchie, and many more. It also presented the best and most authentic of the Jamaican and International stars of Reggae and Dancehall artists such as Damian “Junior Gong” Marley, Stephen Marley, Ziggy Marley, Dennis Brown, Toots & The Maytals, Beres Hammond, Burning Spear, The Mighty Diamonds, Sugar Minott, Gregory Issacs, Frankie Paul, Jimmy Cliff, Freddie McGregor, Tarrus Riley, Barrington Levy, Shaggy, Elephant man, and many other artists of merit in the world of Jamaican Reggae. Besides being the largest music festival in Jamaica, Reggae Sumfest is truly the most authentic Reggae and Dancehall Festival in the world! Jamaican Independence Day is on August 6th. 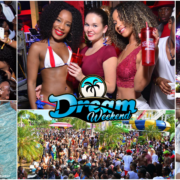 For some, the holiday is a time of relaxation and appreciating the beauty of Jamaica with the family but for others it’s a week of non-stop partying like so at the festivals mentioned above. Most of all, there is a great sense of unity and pride amongst the Jamaican people. 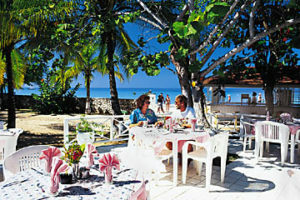 At Rondel Village you can enjoy the famous 7 mile white sand beaches, great live music and authentic Jamaican food. 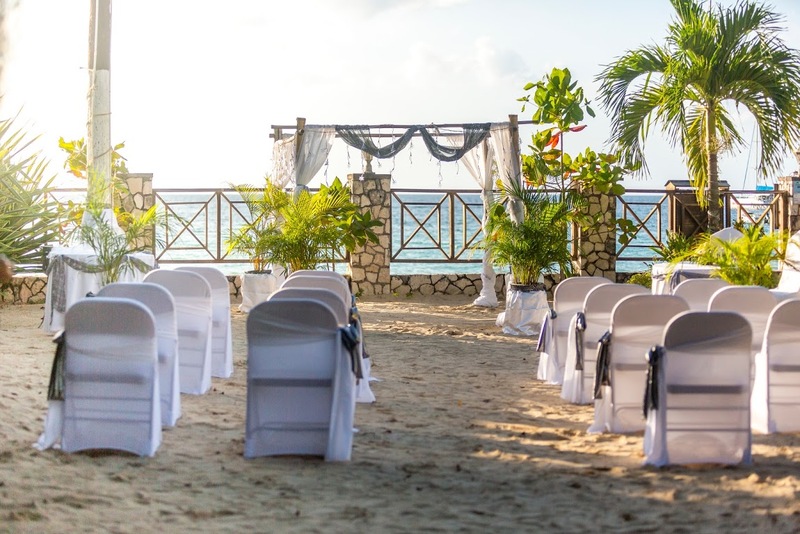 Are you considering having a destination wedding in Jamaica? For a memorable experience and world class service along Jamaica’s romantic west coast, consider Rondel Village in Negril, Jamaica. Read on to learn more about our resort, marriage requirements and other facts you need to know. 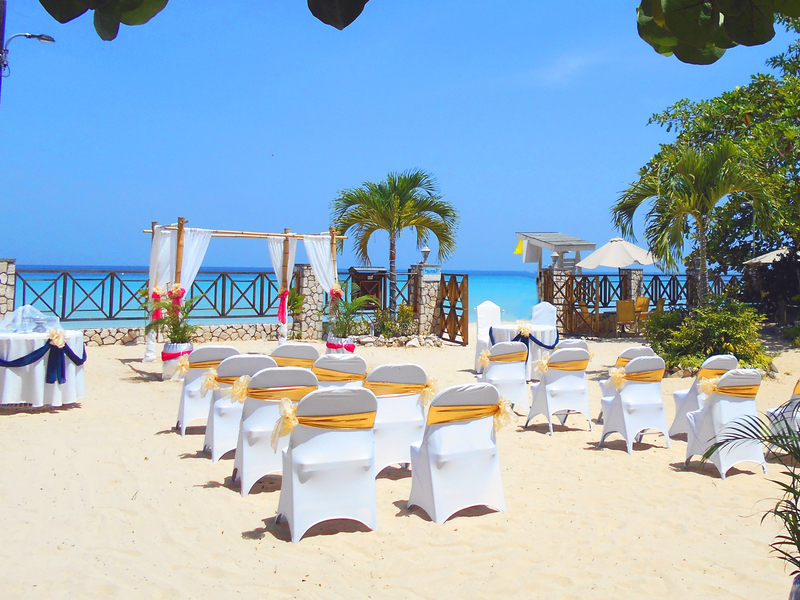 Fall in love with your destination wedding in Jamaica at Rondel Village, located on the world’s most beautiful 7 mile beach. 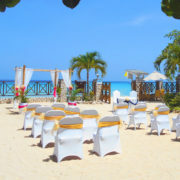 Getting married in Jamaica can be an amazing experience for you, and a memory your guests will never forget. Beauty and culture thrive on this island; reggae music, white sand beaches and Jamaican jerk chicken, just to name a few favorites. We know that a number of people worry about having their guests travel for a wedding, but this is a trip that everyone will want to check off their bucket list! Jamaica is a romantic and lively island, giving you and your guests plenty to do. Enjoy a mellow spa day, party with a tour of a rum farm, be adventurous and visit Bob Marley’s famous hometown, or snorkel on a secluded white-sand beach. 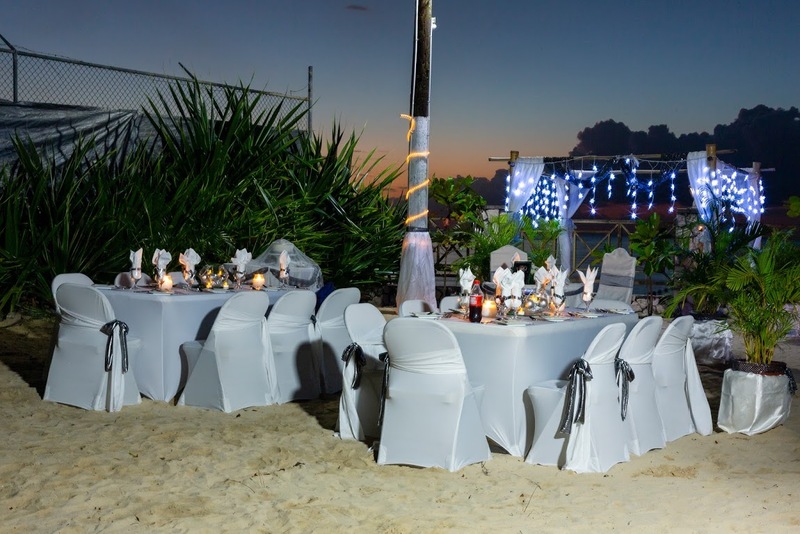 Create some of the best memories of your life at a destination wedding in Jamaica! photographer, and cakes! Find everything you need to know here. Couples planning Negril weddings need photo IDs plus proof of citizenship. Check with your Certified Destination Wedding Specialist for more details.